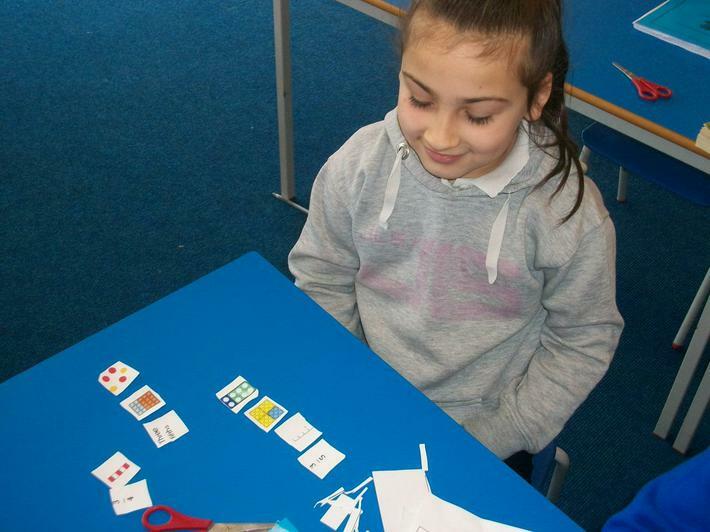 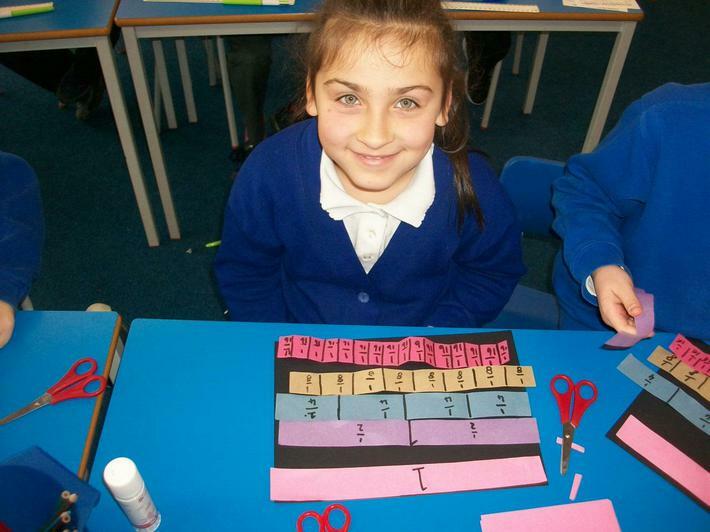 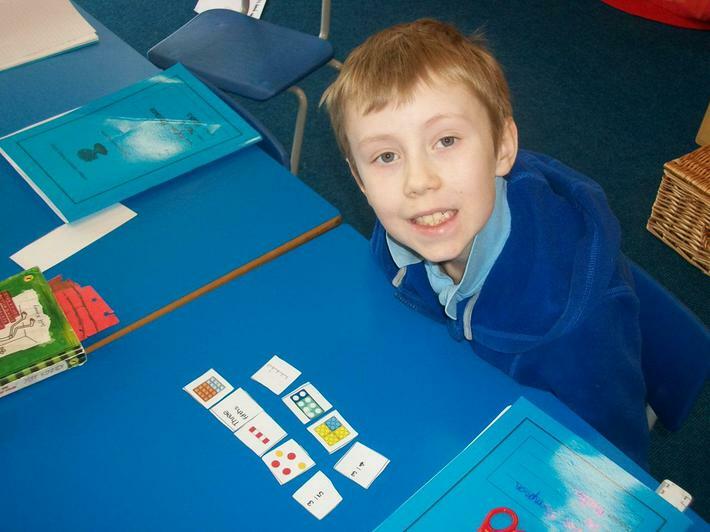 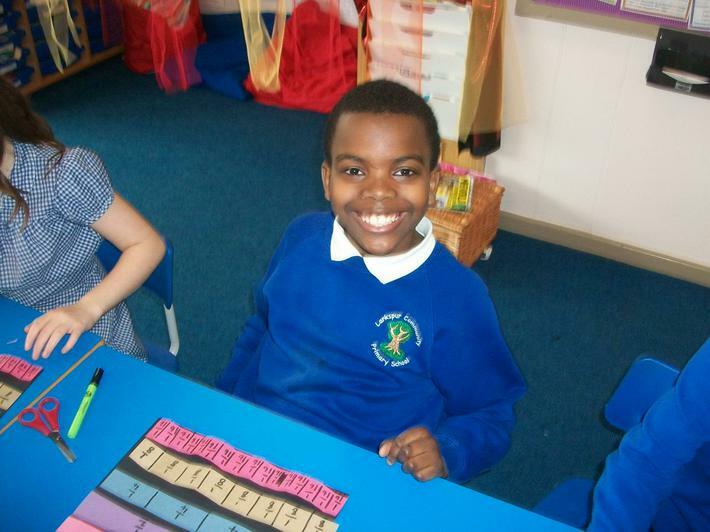 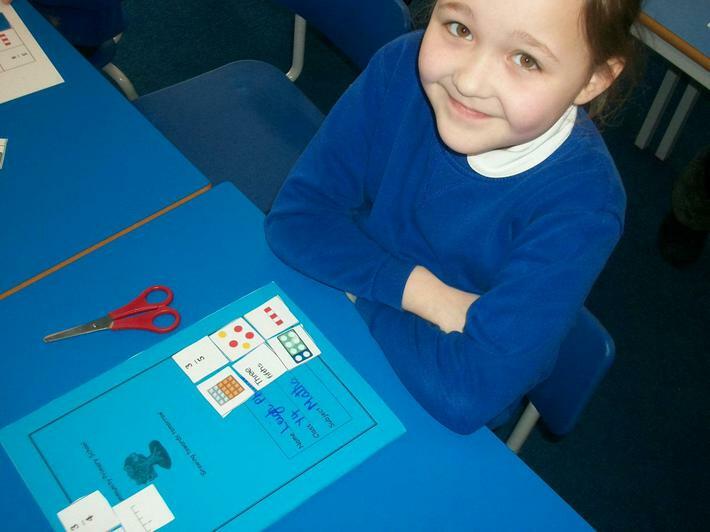 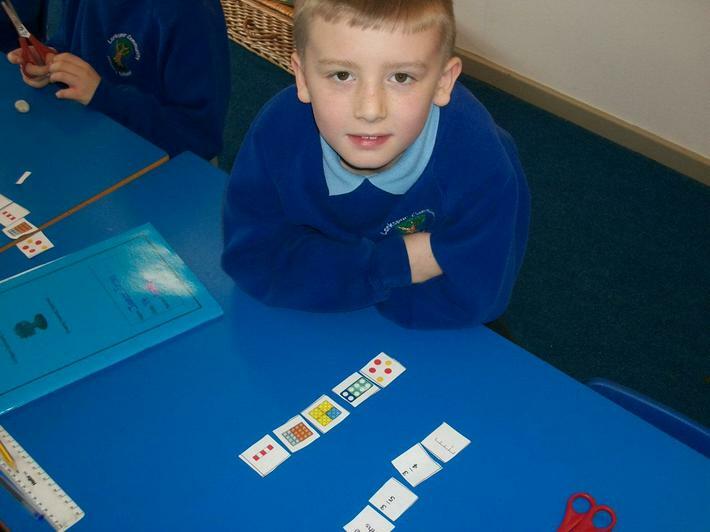 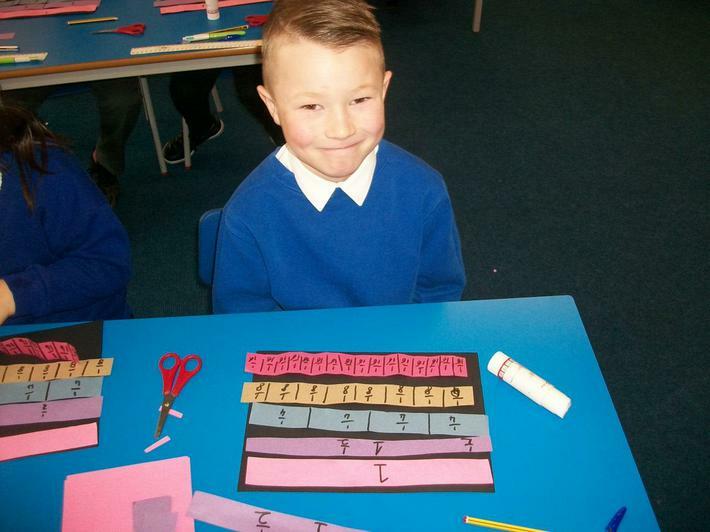 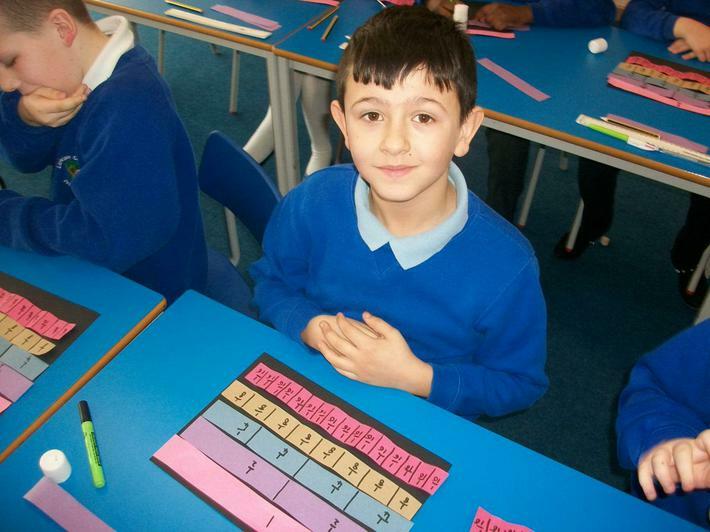 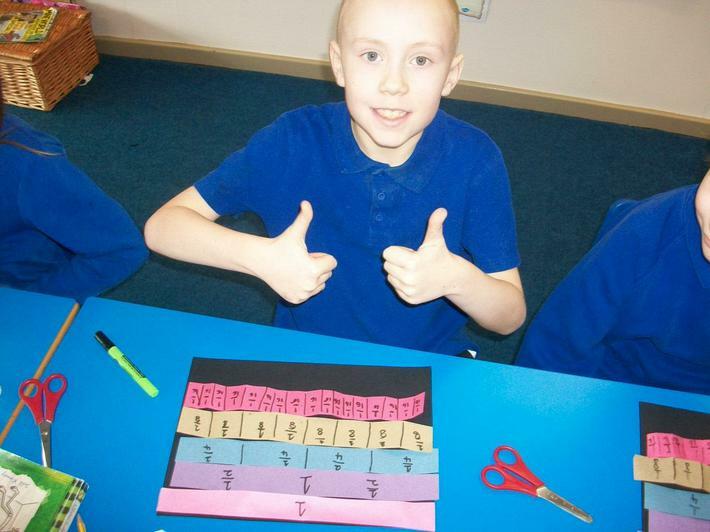 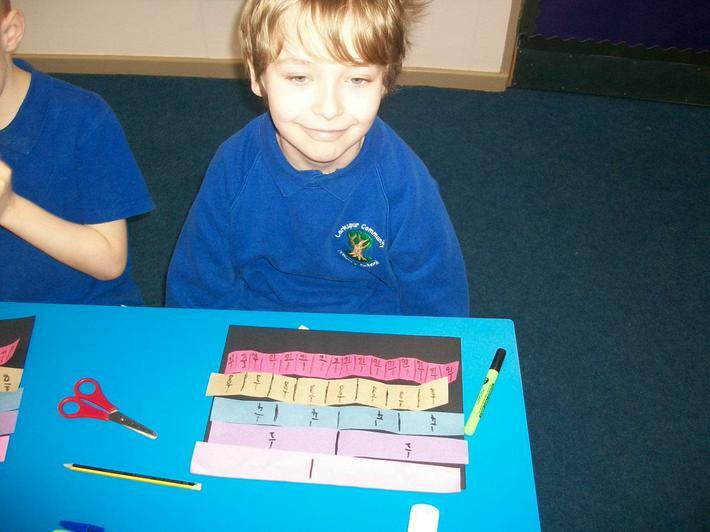 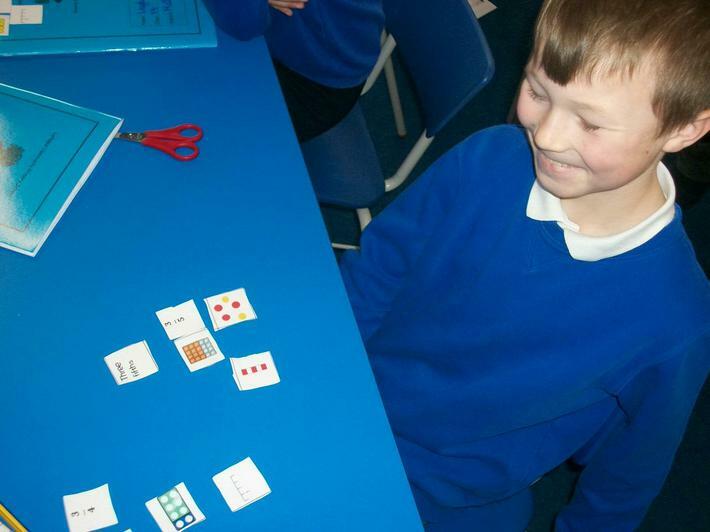 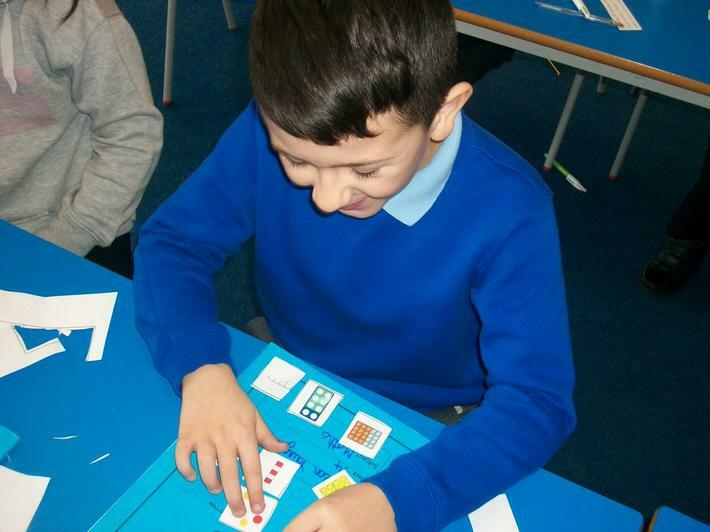 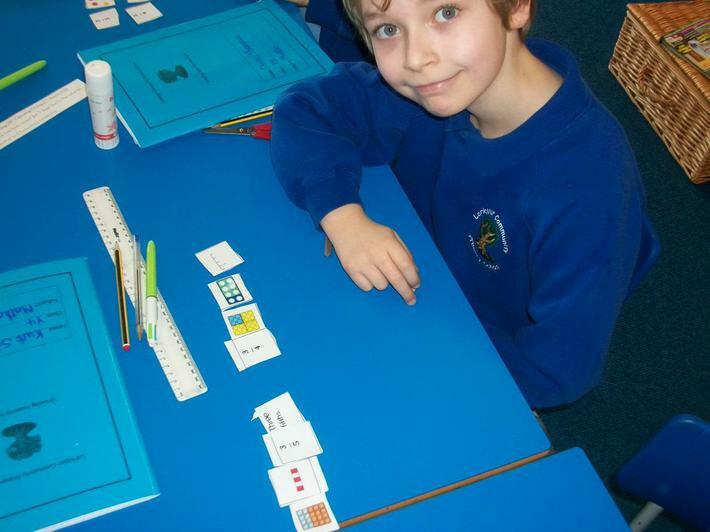 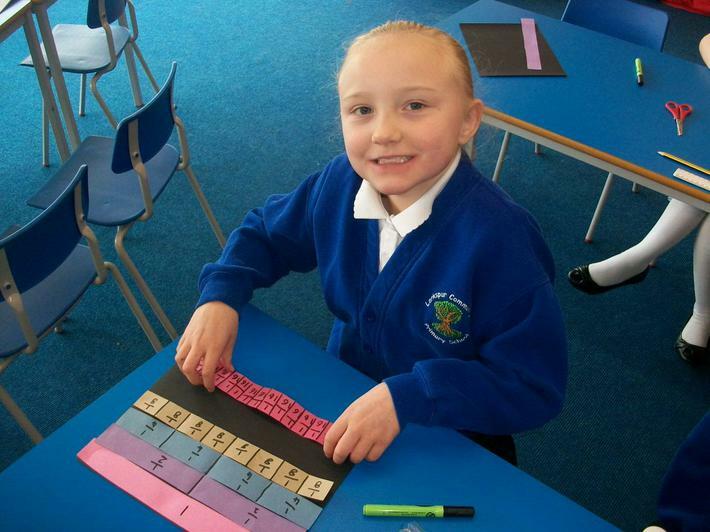 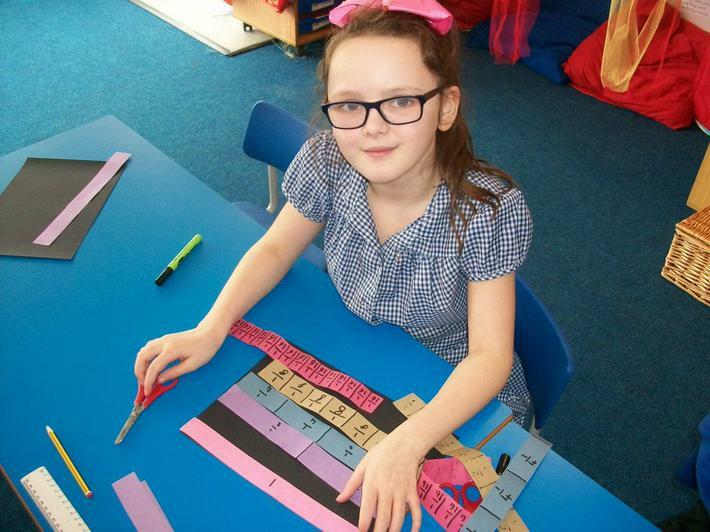 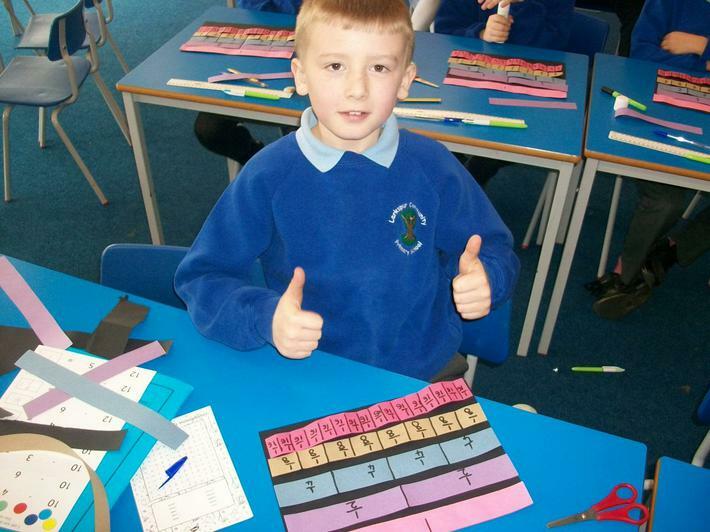 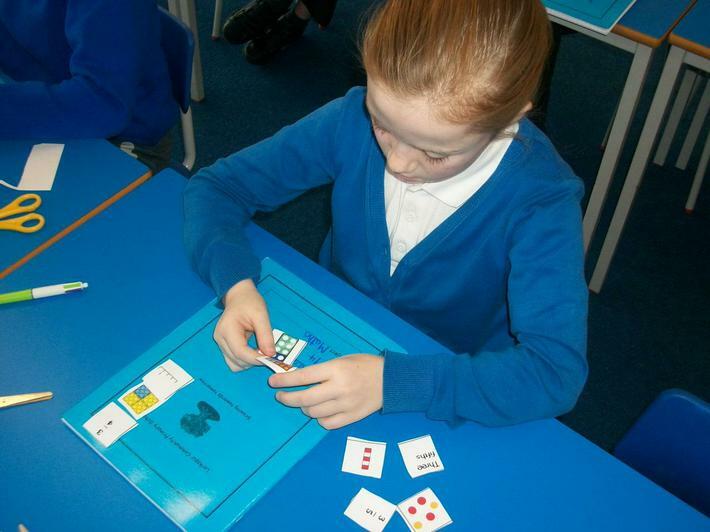 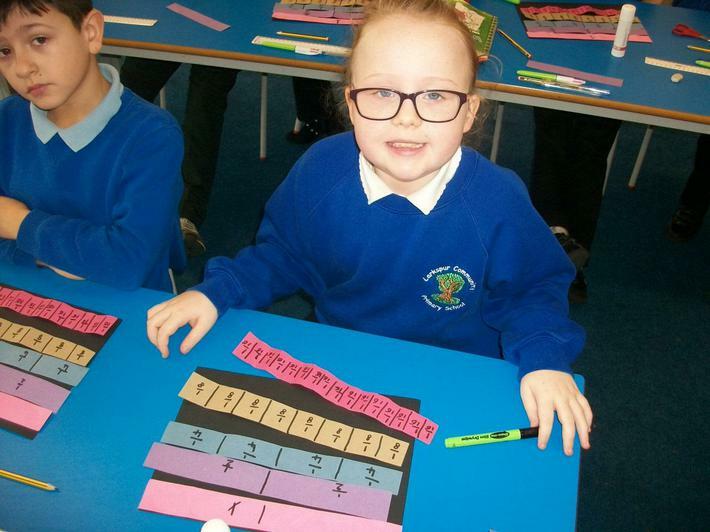 In maths we have been learning about fractions. 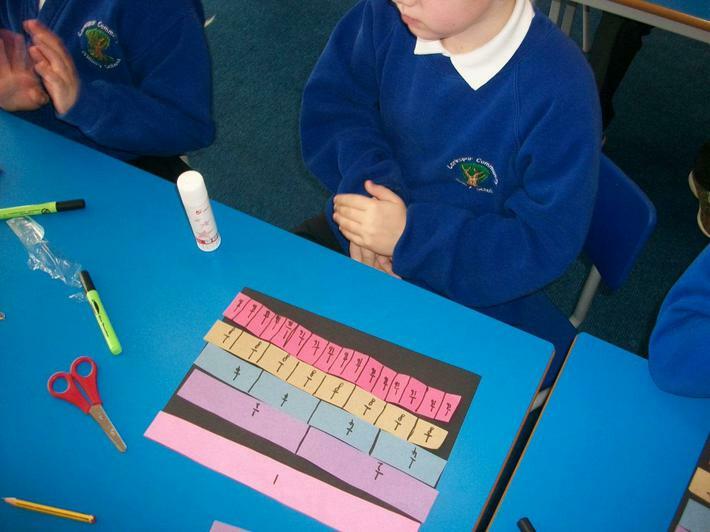 As a class we had lots of discussion about what a fraction is. 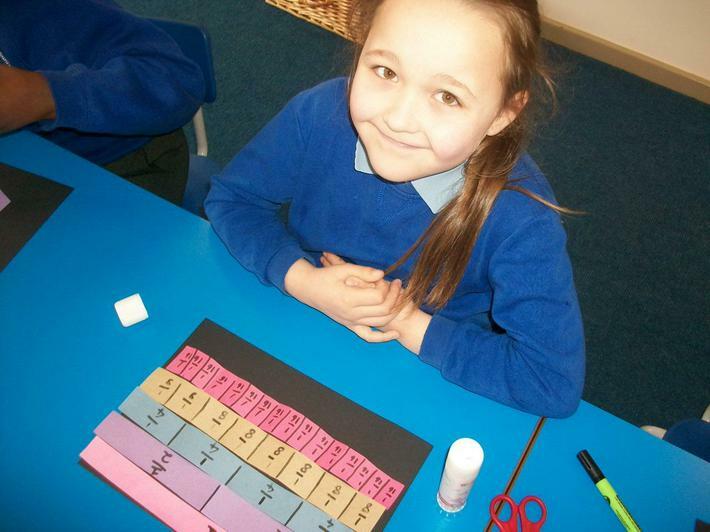 To help us understand equivalent fractions we made our own fraction wall.